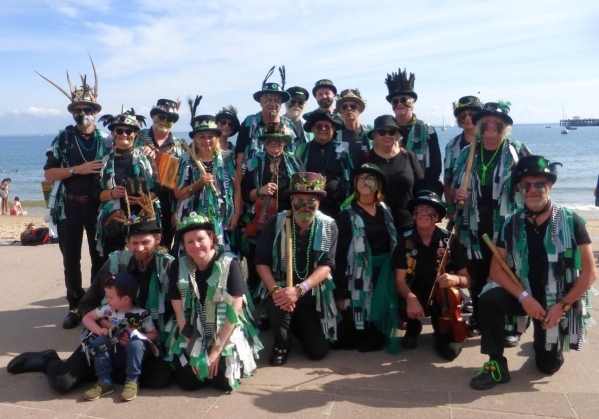 We dance at pubs on weekday evenings during the summer (usually Tuesdays), and at festivals and events on weekends throughout the year. Here is OBJ's event programme. The OBJ Scrapbook contains a pictorial history of OBJ since it was formed - you can find it here. Want to try Morris Dancing? You don't need any prior experience of morris or dancing. Contact us here or just come along to an evening pub session (May-August) or an evening practice session (August-April). We'll find a way of getting you dancing. If you can play an instrument (portable and non-electronic! ), you'll also be welcome. We practice in Easthampstead, Bracknell on Tuesday evenings from late August to end of April. Here are directions and a map to help you find the practice hall. If you're organising a local event, we might be persuaded to come along and dance a spot for you. Please read these notes before contacting us. What's the history of OBJ and Morris Dancing? Read all about it here. If you have more questions, please check out the FAQs here.